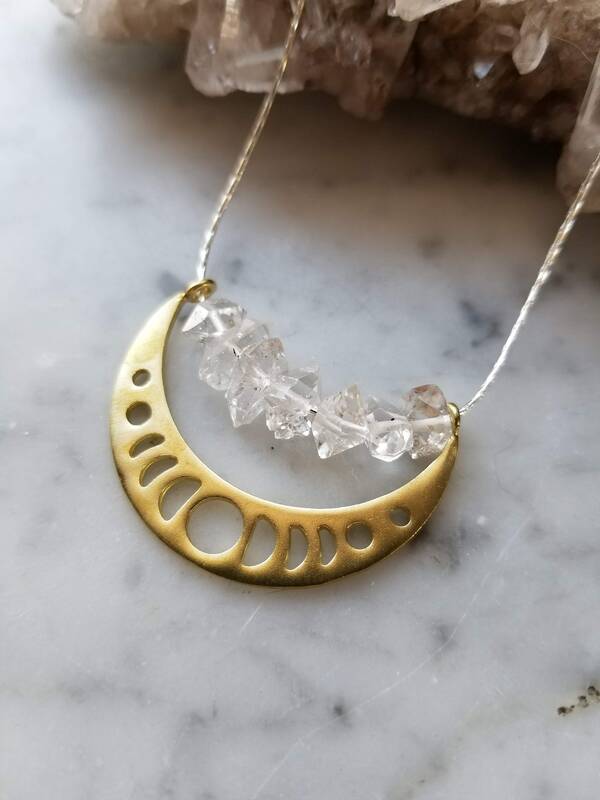 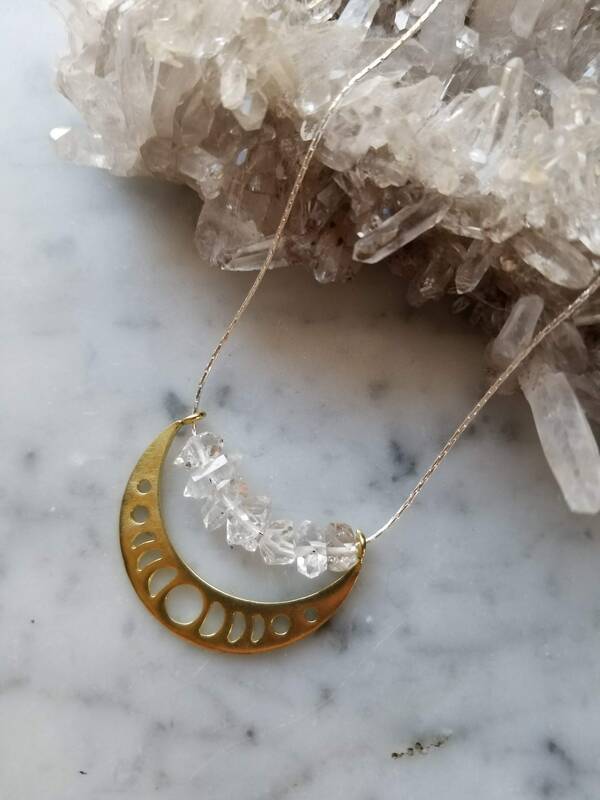 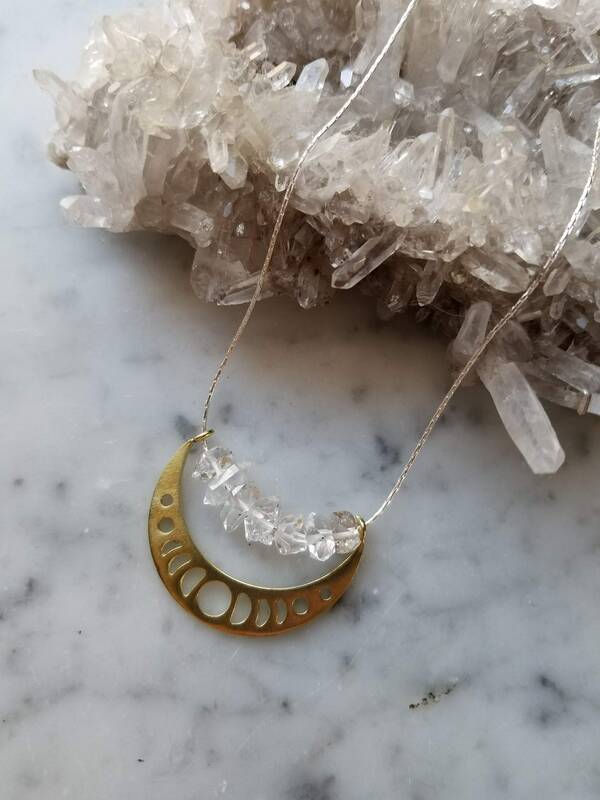 Brass moon phase pendant with beautiful water clear herkimer diamond hang like stars above on delicate sterling silver chain, finished with a sterling silver lobster clasp. 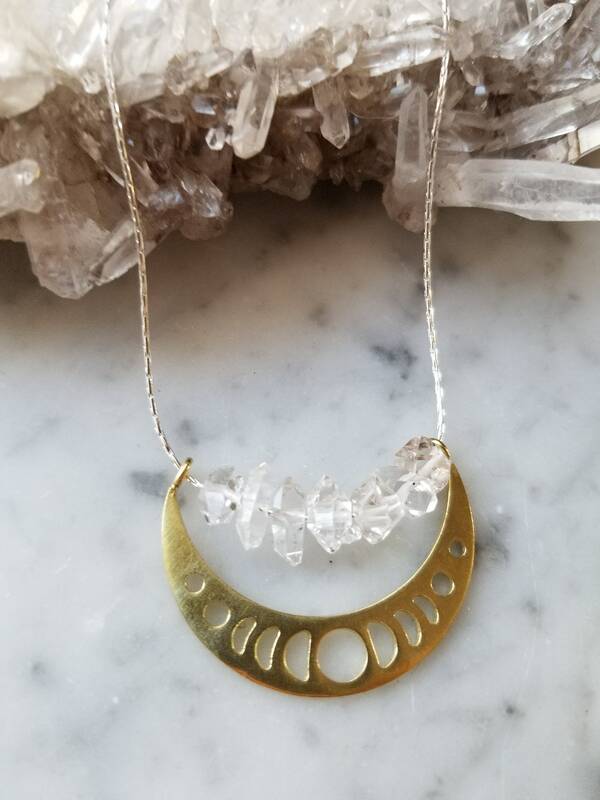 18" long. 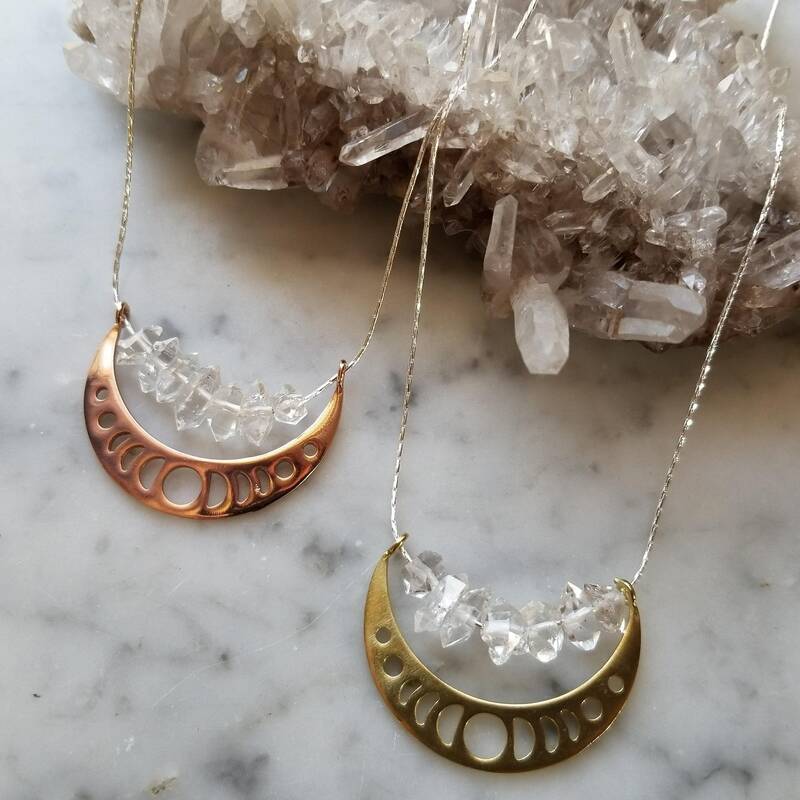 Also available in rose gold as shown in the last photo.